Wisely, Mrs. Waters’s mother chose not to use the time before her buffet hollowing out dozens of little tomatoes and stuffing them with teaspoons of filling. Instead, she put the tomatoes in a serving bowl, poured vodka over them, and placed toothpicks and lemon pepper nearby, so that grazers could spear themselves a tomato, and dip it in the pepper. 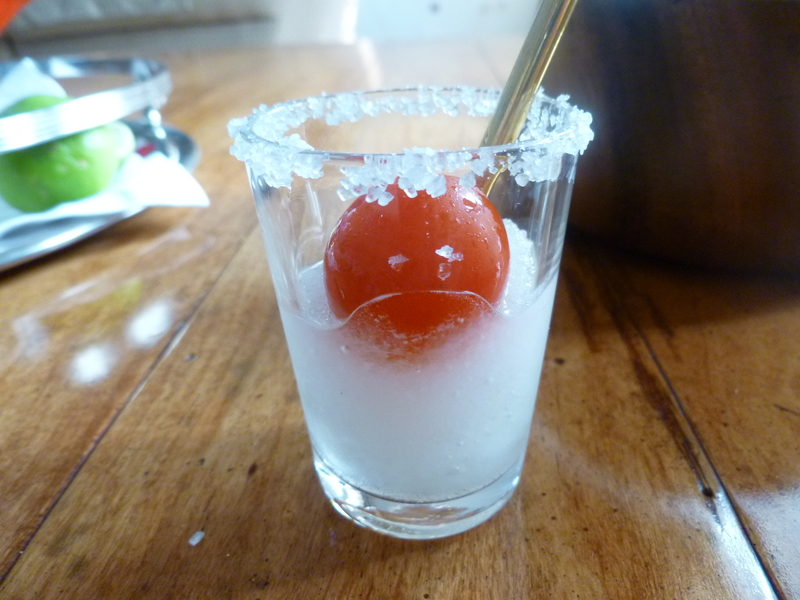 I intended to try the recipe–but was sidetracked by the idea that tomatoes might also be made merry with a pitcher of Frozen Margaritas. Do the first two steps of the recipe at least an hour in advance of serving. 1. 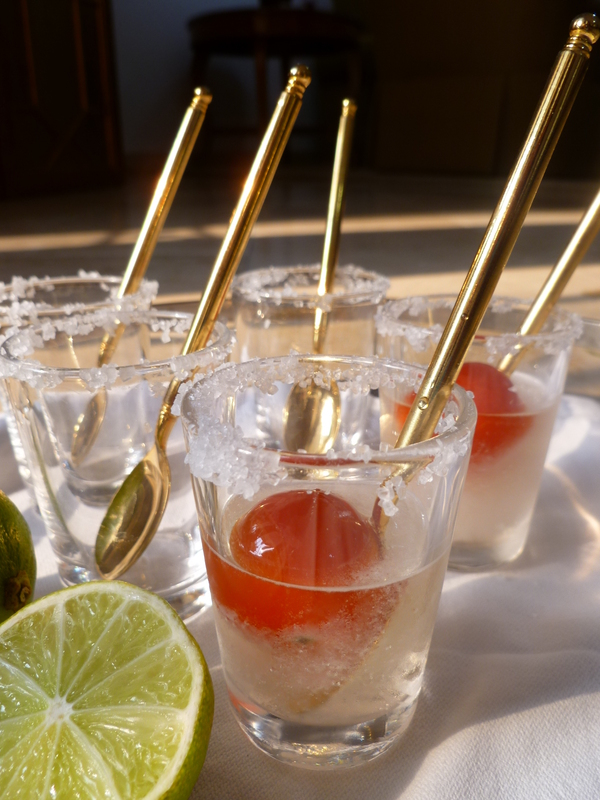 Mix the lime juice, tequila, and liqueur with 2 cups of ice in the blender until it becomes slush. Two cups is more than twice the amount of ice you would use for making the drink. With a lesser amount of ice, the slush will be very thin. Put the frozen Margarita mixture in a freezer container and put it in the freezer. Because of the liquor in it, it will not harden. 2. Squeeze some lime juice onto a saucer. Scatter some coarse salt on another saucer. 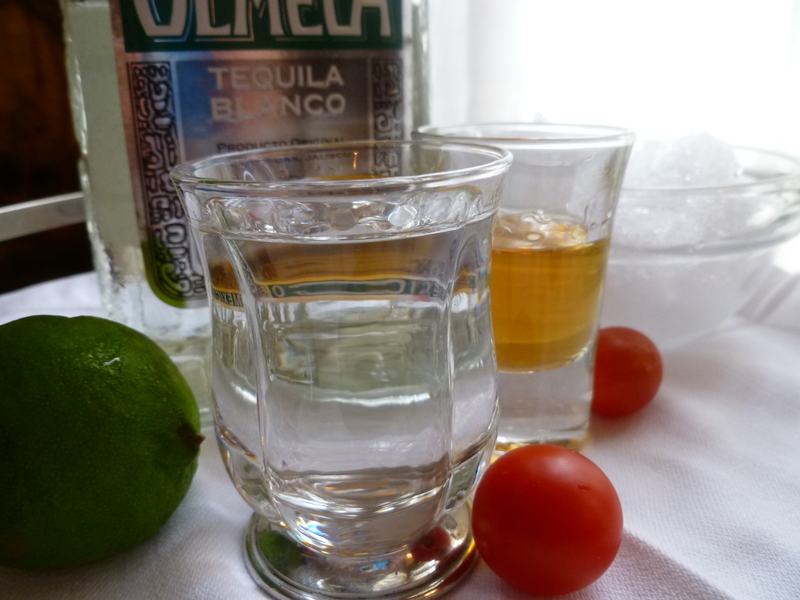 Dip the rims of the shot glasses in the lime juice and then in the coarse salt. Put them in the freezer, as well. 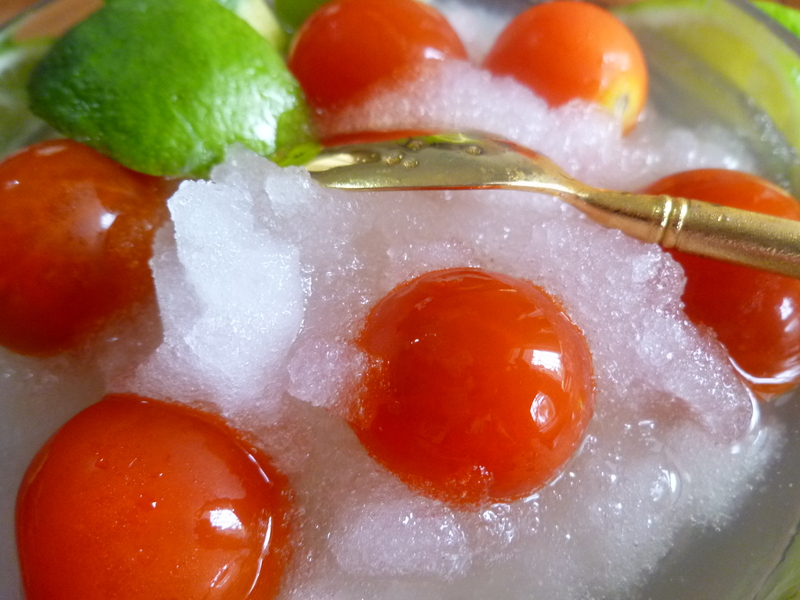 A Note: Frozen Margarita Tomatoes are one of the hors d’oeuvres listed on the Dinner Menu: A Welcome Dinner for an Out-of-Town Visitor who has Traveled Far.